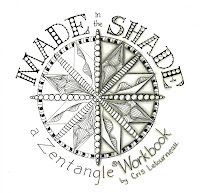 Cris Letourneau's book "Made in the Shade - a Zentangle Workbook" arrived in my post office box this week. 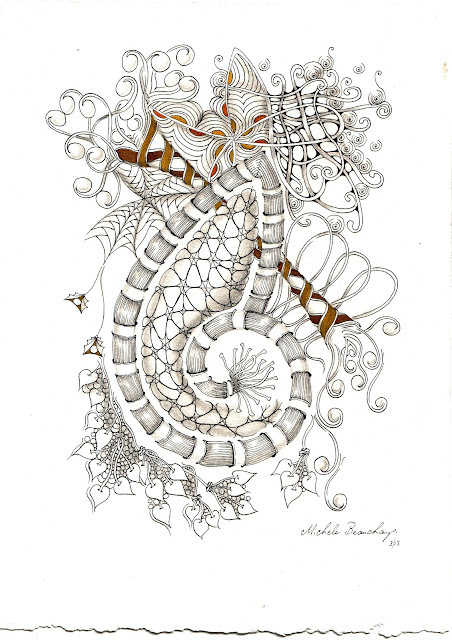 I am amazed at how much detail and thought she has put into describing the art of shading. There are over 100 pages of ways to enhance your tangling with tips and techniques. 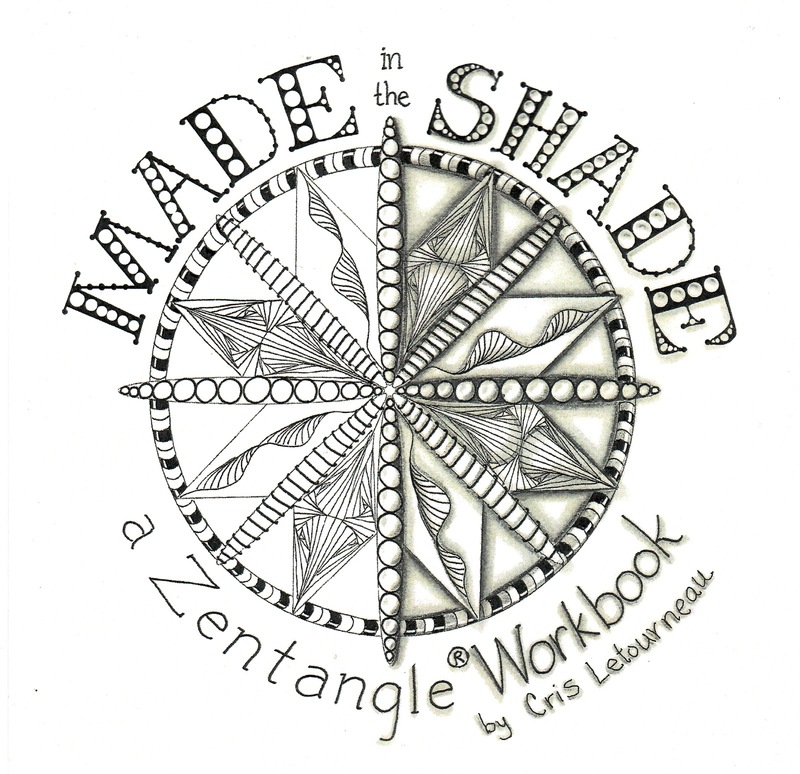 You can learn 12 new tangles with 50 ideas for shading 20 official tangles. Inspired by "Made in the Shade"
FOR SALE: I have updated my Etsy Shop with some new ZIA pieces! I agree - I bought Made in the Shade a couple of weeks ago and I haven't put it down. It has taken my tangling to a whole new level. BTW I love your new master piece - you're amazing! Thanks, Michele. Beautiful work, as always. SO glad you like the book. My students are so impressed with your work in it. Could you please let us know where we can buy "Made in the Shade" I have tried Book Depository and Amazon (Australia) so far to no avail. I adore tangling but I know I need more help with shading. I love your work Michelle, your emailed examples I receive make my day when they arrive! Thanks Sue! Send me an email pabmab4@bigpond.com as you are in Australia I will be able to help with a copy. Otherwise click on the highlighted (in yellow) 'Made in the Shade' above for the link to Cris Letourneau's site.